There are always silver linings and blessings to life’s challenges!! Up until 23 yrs of age, I was a high-functioning, over-achiever, athlete with a large social life who was also gifted as a child. 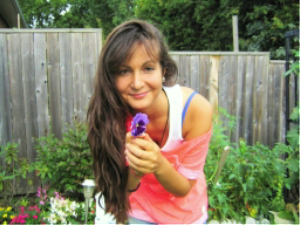 I was involved in the Greek community in Toronto, ON (Vice-President of External Affairs of the Hellenic Student Association at York University), helped to organize Greek social events for students, helped out at my local church on a regular basis, played competitive soccer, was pre-med and majoring in Biochemistry, until I fell very ill. At 3 years of age, I spoke of being a doctor without having any real way or knowledge to know what it was or what it meant. I had my own ‘doctors kit’ and would check reflexes along with heart rate and blood pressure. I spoke my dream aloud my entire life, was determined and ready to enter and finally begin living my dream when I fell seriously ill. My illness started off as GI symptoms (nausea, diarrhea, vomiting) and progressed into something much more severe with time. 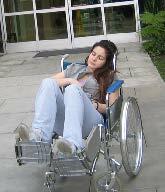 I basically went from totally normal, to totally bedridden and wheelchair bound within 6 months. One day, while eating lunch I blacked out into my plate and became unconscious as I fell onto the floor. When I came too, I found myself slurring my words and unable to move or lift myself up off the floor. I was wheeled into the ER with my head between my legs and honestly thought I was going to die. Not able to leave my bed or feed myself, I desperately tried to search for help. I went from doctor to doctor, hospital to hospital, and was told I had everything from depression, to cancer, to a fatal heart condition. What was worse than what I was facing, was the way I was being treated by the conventional healthcare system. I was kicked out of many practices, as no doctor wanted to be liable for my condition that was quickly deteriorating. I finally decided to gather all my test results and research myself with whatever brain and focus I could muster, using the background knowledge in biochemistry that I had. I stumbled on the diagnosis of “Chronic Fatigue Syndrome” CFS or “Chronic Fatigue Immune Dysfunction Syndrome”, CFIDS, characterized by severe fatigue, neurological weakness, insomnia, and systemic muscle/joint pain. This diagnosis seemed to ‘fit the bill’ but no one was searching for what was causing the fatigue and neurological weakness. Who could I find that could possibly diagnose me? Treat me? After a lot more research I came across books written by physicians who had the disease and who had recovered which pointed to chronic infections and toxicity being the underlying cause. After exhausting every Canadian possibility, and either being turned away or simply offered no help, I soon found myself in the U.S. where doctors were treating this condition. I flew out to L.A. to be treated, while laying across 3 seats on a plane and on oxygen, only intending on staying for 10 days but ended up sicker and stranded for over 6 months. 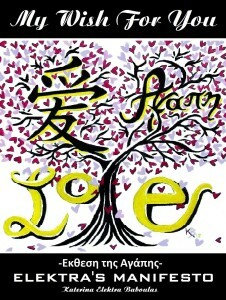 It is there that I received the diagnosis of “Lyme Disease” that would soon change my life. Lyme disease is transmitted by ticks (small insects) of which carry with them a variety of other infections as well, deemed ‘co-infections’. Lyme is but one bacterial stealth-like infection that is transmitted through the tick. I was put on I.V. antibiotics of which, in my weakened state, I simply could not tolerate. The I.V. antibiotics put my liver into a coma and almost killed me. 10 days quickly became 6 months of stay as I simply was too sick to fly home. I soon realized that conventional medicine was not the total answer and what was happening was beyond Lyme. The reason that a Lyme diagnosis is controversial and many times even denied, is that many people are bitten by ticks and not all develop severe symptoms or problems. This is where I found that immunity and the person’s current terrain or health state is of crucial importance to be able to understand why the severe downward health spiral happens. This is when I also understood why this is a very highly politicized illness where the Canadian government will not acknowledge chronic cases of Lyme or these type of fatigue related syndromes. The ignorance and lack of acknowledgement from Canada’s health system had forced my family to mortgage our home in order to afford treatment and pay for answers to doctors versed in this type of healthcare. At one point, we almost lost our home and became bankrupt if not for my extended family stepping in to throw fundraisers that would help to keep us afloat financially. I found myself traveling around North America to get answers to my health problems where at one point I was at a clinic in Seattle. While sitting in the IV room, I began chatting with patients and realized that 80% of them were not only Canadian but from Toronto. As I found that there were other components causing the immune suppression, answers started to come to the forefront as I was diagnosed with frequent bowel and stomach infections, heavy metal poisoning, systemic candidiasis, nutritional deficiencies, malabsorption, dental cavitations, genetic defects causing an impaired ability to detoxify or excrete efficiently and also genetic susceptibility to mold illness among other things. There were some nights that I slept outside in my backyard in a tent in order to avoid the mold that had tested high in my home. During this time tremendous changes were happening within my family. There was a paradigm shift where my parents and brothers longed to also make healthy lifestyle changes. This resulted in my little brother Nick changing his entire career path. Nick and I studied at University together, where I was studying Biochemistry, pre-medical program and Nick was majoring in Pharmaceutical Chemistry. He ended up working within drug discovery but after seeing drugs destroy my body, his philosophy of healing shifted as I watched him lose his passion for drugs, not chemistry. 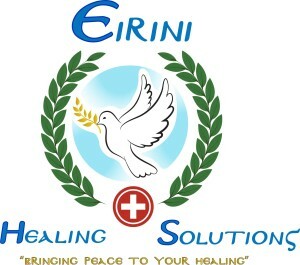 He decided to go into Naturopathic Medicine and after a 4 yr program, he recently graduated as a Naturopathic Doctor (ND) and has opened his practice – Eirini Healing Solutions here in Toronto, ON www.eirinihealingsolutions.ca After all the different treatments, experiences, failures, successes and even 100’s of thousands of dollars we have spent to learn and get to the level of knowledge and consciousness over the last several years dealing with my health issues, Dr Baboulas is ready to give back and provide real care to those suffering by using our experiences for the greatest good of humanity, providing real solutions and care for those in need. Watching my struggles inspire all of those around me, began to inspire a fierce force of creativity and expression within me where I b egan to paint from bed. It was as if I had no choice where many of my paintings were completely channeled. As Van Gough put it – “First I dream my painting, then I paint my dream”. 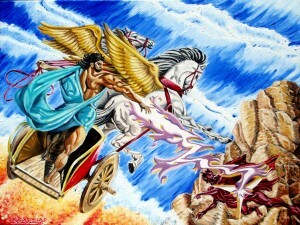 Some paintings took me years to complete, such as “Battle of Epic Proportions” others months. Others I completed while still having bandages around my arms after being in the ER and having multiple IV’s. All that mattered was that I finished and was able to express and connect with the world around me through my art – Katerina Paints www.katerinapaints.com. My body couldn’t work, I was not able to go visit family and friends and sometimes much too sick to even have company where I found myself spending not only hours but days and months alone. The only company I had in those hours were Doctors and Priests coming to care for me. I needed and need to use my platform to inspire and share love. I quickly realized there was a demand for my artwork and that others were drawn to it as it evoked emotion within them that they yearned to feel. It became a way of helping my family to afford treatments while also raising awareness for real healing solutions to chronic illness. 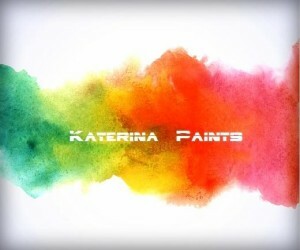 Katerina Paints was born which also quickly prompted the birth of Healing Together. After receiving the initial diagnosis of “Chronic Fatigue Syndrome (CFS)” before delving into the causes or knowing much about the illness, I immediately began a health education group on facebook called “Chronic Fatigue Syndrome (CFS)/Fibromyalgia (FM) Is Treatable”. I did it to bring awareness and attract/share solutions for this illness. This was over 7 years ago where mainstream medicine did not know much about it and there wasn’t too much information freely shared online. I felt it my responsibility to collect this information and share it. Today, this group is over 5,000 members large and continues to grow. I began to also blog on social media about my treatments and developed a following of doctors and patients in the 10’s of thousands. My intention was to bring truth, at least my truth, to light and shed some light on what was happening while sharing possible solutions that could potentially help to heal others. This following has turned into a group of health-conscious individuals seeking to share their healing journeys, swap ideas and educate one another. 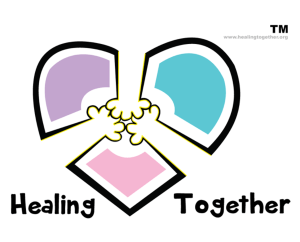 The need for Healing Together was obvious and also born www.healingtogether.org. A place where patients can access healing information and share what is helping or hindering them within their healing journey. A place where true community allows for sharing of the burden of illness while not only providing hope but more affordable access to healing solutions. I am still developing, creating and expanding Healing Together as I feel the need is so great where people are hungry to change their patient labels. As such Healing Together’s vision is to create self-sufficient people, not patients where patients can finally shed their labels and come out of their struggles transformed as they also have a platform to give back and pay forward what they have learned that has helped them within their recovery. Our goal is to create a health-renaissance and paradigm shift through health education, and access to healthcare, where ultimately it becomes that there is no real ceiling or limitations to our healing. Through sharing and uncovering truths in healing, it is something that will be passed down from generation to generation so that we may ensure that our future children and humanity will not have to suffer the ills we have, since we have already suffered and conquered them and as such developed the wisdom and insight in order to overcome. From a child I knew my purpose was to help heal others, the obvious manifestation of this purpose was to become the physician that I inherently modelled. After almost losing my life a handful of times throughout my own challenges, I intrinsically know that what my purpose is cannot wait, it cannot wait until I recover, go to back to school and become a physician. Instead, I have found that through the platform of social media, I able to reach and help share healing information with people all over the world in a fraction of time. Something I could never do if I was limited by one on one care. The beauty hidden within the trials and tribulations is that I get to live out my purpose to the fullest expression of my being as this is exactly what I am supposed to be doing, right now. As the paradigm of illness shifts, I witness doctors educating one another and becoming more and more open to treating and discovering true healing solutions to my illness and chronic health issues in general. I believe that our government within Canada will soon have no choice but to follow suit and drop the politics surrounding illness. My travels and experiences within my healing journey would leave me writing notes and life lessons to myself, sharing emotions on paper through poetry and having moments where I needed to grab a pen and paper and quickly find a quiet place to get my thoughts down. I would go into a public bathroom or into my car to be able to think and make sure I got these thoughts down so that I wouldn’t lose them. I would be in an appointment with my doctor with an IV in one arm, writing notes with the other and consulting while I would find myself writing pieces of poetry around my medical notes! I found myself bringing a notepad wherever I went. I accumulated sticky notes, so many scraps and pieces of paper, wherever I could find something to write on I would. All of these random pieces of paper would sit and accumulate on my desk only to mock me. Something kept telling me I needed to put it together, to write a book and share these lessons and insights with those around me. But I couldn’t figure out how to connect these random thoughts and emotions until I sat down and read them all. It was then that the kindred theme in them was revealed to me; divine love. I instantly knew that it was not an opportunity, rather a responsibility of mine to put this together and share it with those I love, including the world, “My Wish For You: Elektras Manifesto” was then born. I am finding myself coming to the completion of my writing and so excited to share love and help to increase love consciousness within the world. My story of suffering is not very different than the millions of others around the world suffering with this illness and general health issues. However, I feel that God has provided this challenge for my total and complete benefit in order to help me tap into who I really am and reach my highest possible potential as a human being where I can use my talents and suffering for the benefit of humanity. I have seen so much generosity and love come my way that I initially never felt worthy for until I understood my purpose and role within the universe and my challenges. I have also come to realize that to whom much is given much is expected. I take full responsibility for my life’s challenges and carrying through mine and my family’s dream of creating the first in-patient alternative clinic in Canada along with making this care affordable. I intend to pay forward all the goodness and love that I know will result in changing people’s lives, as I am already witnessing this occur daily, albeit one person at a time. I cannot accomplish my dreams alone, I require your support. I believe that every human being should have access to at the very least, health information that can be potentially used to heal their bodies and lives. But I also believe that information is only the beginning, we need to be able to apply this knowledge and have access to healthcare in order to heal and change lives. This is my vision for each and every person in the world. I know it is possible, as the only true way to heal, is to do it together. Only when I began to connect and share with a community of patients and people, did I begin to retrieve answers and inch forward within my health and healing. Please consider purchasing a painting and/or sharing my story with others. I humbly accept your help and am grateful for any support, even if only prayers.